1. J. Niinikoski and T. K. Hunt, Oxygen and healing wounds: tissue-bone repair enhancement, in: Handbook of Hyperbaric Medicine, edited by G. Oriani, A. Marroni, and F. Wattel (Springer-Verlag, Milan, 1996), pp. 485-597. 2. I. A. Silver, Physiology of wound healing, in: Wound Healing and Wound Infection: Theory and Surgical Practice, edited by T. K. Hunt (Appleton-Century-Crofts, New York, 1980), pp. 11-31. 3. T. K. Hunt and W. Van Winkle Jr., Normal repair, in: Fundamentals of Wound Management, edited by T. K. Hunt and J. E. Dunphy (Appleton-Century-Crofts, New York, 1979), pp. 2-68. 4. T. K. Hunt, Disorders of repair and their management, in: Fundamentals of Wound Management, edited by T. K. Hunt and J. E. Dunphy (Appleton-Century-Crofts, New York, 1979), pp. 69-168. 5. J. Niinikoski, T. K. Hunt, and J. E. Dunphy, Oxygen supply in healing tissue, Am. J. Surg. 123, 247-252 (1972). 6. A. A. Tandara and T. A. Mustoe, Oxygen in wound healing - more than a nutrient, World J. Surg. 28, 294-300 (2004). 7. T. K. Hunt, P. Twomey, B. Zederfeldt, and J. E. Dunphy, Respiratory gas tensions and pH in healing wounds, Am. J. Surg. 114, 302-307 (1967). 8. T. Vihersaari, J. Kivisaari, and J. Niinikoski, Effect of changes in inspired oxygen tension on wound metabolism, Ann. Surg. 179, 889-895 (1974). 9. J. Niinikoski, The effect of blood and oxygen supply on the biochemistry of repair, in: Wound Healing and Wound Infection: Theory and Surgical Practice, edited by T. K. Hunt (Appleton-Century-Croftts, New York, 1980), pp. 56-71. 10. J. A. Jensen, T. K. Hunt, H. Scheuenstuhl et al, Effect of lactate, pyruvate, and pH on secretion and mitogenesis factors by macrophages, Lab. Invest. 54, 574-578 (1986). 11. M. Z. Hussain, Q. P. Ghani, and T. K. Hunt, Inhibition of prolyl hydroxylase by poly (ADP-ribose) and phosphoribosyl-AMP, J. Biol. Chem. 264, 7850-7855 (1989). 12. J. Niinikoski, Effect of oxygen supply on wound healing and formation of experimental granulation tissue, Acta Physiol. Scand. Suppl. 334, 1-72 (1969). 13. F. O. Stephens and T. K. Hunt, Effect of changes in inspired oxygen and carbon dioxide tensions on wound tensile strength, Ann. Surg. 173, 515-519 (1971). 14. T. K. Hunt and M. P. Pai, The effect of varying ambient oxygen tensions on wound metabolism and collagen synthesis, Surg. Gynecol. Obstet. 135, 561-567 (1972). 15. C. E. J. Lundgren and B. Zederfeldt, Influence of low oxygen pressure on wound healing, Acta Chir. Scand. 135, 555-558 (1969). 16. I. A. Silver, The measurement of oxygen tension in healing tissue, Progr. Resp. Res. 3, 124-135 (1969). 17. J. J. Hutton, A. C. Tappel, and S. Udenfriend, Cofactor and substrate requirements of collagen proline hydroxylase, Arch. Biochem. 118, 231-240 (1967). 18. R. Myllyla, C. Tunderman, and K. J. Kivirikko, Mechanism of the prolyl hydroxylase reaction. Kinetic analysis of the reaction sequence, Eur. J. Biochem. 80, 349-357 (1977). 19. L. De Jong and A. Kemp, Stoichiometry and kinetics of the prolyl 4-hydroxylase partial reaction, Biochem. Biophys. Acta 787, 105-110 (1984). 20. M. Chvapil and B. Cmuchalova, Dynamics of changes in connective tissue components during development of carrageenan granuloma, Exp. Med. Surg. 19, 171-182 (1961). 21. J. Niinikoski, Oxygen and wound healing, Clin. Plast. Surg. 4, 361-374 (1977). 22. C. Hammarlund and T. Sundberg, Hyperbaric oxygen reduced size of chronic leg ulcers: a randomized double-blind study, Plast. Reconstr. Surg. 93, 829-833 (1994). 23. P. B. Medawar, The cultivation of adult mammalian skin epithelium, Q.J. Microbiol. Sci. 79, 187-192 (1948). 24. O. T. Utkina, Regeneration of skin epithelium in healing wounds under normal conditions and at reduced barometric pressure, Biol. Abstr. 45, 6289 (1964). 25. G. D. Winter and D. J. D. Perrins, Effects of hyperbaric oxygen treatment on epidermal regeneration, in: Proceedings of the Fourth International Congress on Hyperbaric Medicine, edited by J. Wada and T. Iwa (Bailliere, Tindal and Cassel, London, 1970), pp. 363-368. 26. J. H. A. Niinikoski, Clinical hyperbaric oxygen therapy, wound perfusion and transcutaneous oximetry, World J. Surg. 28, 307-311 (2004). 27. T. K. Hunt and H. W. Hopf, Wound healing and wound infection, Surg. Clin. North. Am. 77, 587-606 (1997). 28. H. W. Hopf, T. K. Hunt, J. M. West et al, Wound tissue oxygen tension predicts the risk of wound infection in surgical patients, Arch. Surg. 132, 997-1004 (1997). 29. J. Kivisaari and J. Niinikoski, Effect of hyperbaric oxygenation and prolonged hypoxia on healing of open wounds, Acta Chir. Scand. 141, 14-19 (1975). 30. A. Y. Sheika, J. J. Gibson, M. D. Rollins et al, Effect of hyperoxia on vascular endothelial growth factor levels in a wound model. Arch. Surg. 135, 1293-1297 (2000). 31. S. R. Bonomono, J. D. Davidson, Y. Yu et al, Hyperbaric oxygen as signal transducer: upregulation of platelet derived growth factor-beta receptor in the presence of HBO2 and PDGF. Undersea Hyperb. Med. 25, 211-216 (1998). 32. L. L. Zhao, J. D. Davidson, S. C. Wee et al, Effect of hyperbaric oxygen and growth factors on rabbit ear ischemic ulcers. Arch. Surg. 129, 1043-1049 (1994). 33. 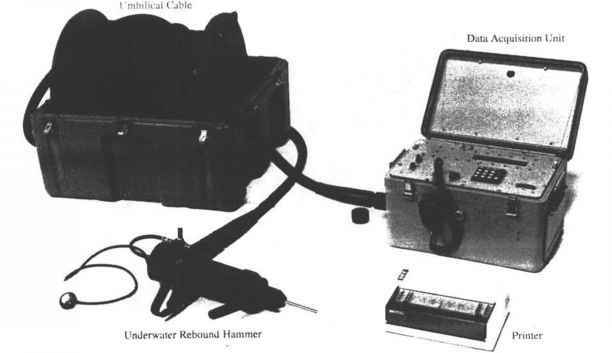 P. J. Sheffield and W. T. Workman, Transcutaneous tissue oxygen monitoring in patients undergoing hyperbaric oxygen therapy, in: Continuous Transcutaneous Blood Gas Monitoring, edited by R. Huch and A. Huch (Marcel Dekker, New York, 1983), pp. 655660. 34. L. A. Matos, and A. A. Nunez, Enhancement of healing in selected problem wounds, in: Hyperbaric Medicine Practice, edited by E. P. Kindwall (Best Publishing Company, Flagstaff, 1994), pp. 589-612. 35. D. Mathieu, R. Neviere, and F. Wattel, Transcutaneous oxymetry in hyperbaric medicine, in: Handbook of Hyperbaric Medicine, edited by G. Oriani, A. Marroni, and F. Wattel (Springer-Verlag, Milan, 1996), pp. 686-698. 36. P. J. Sheffield and C. J. Buckley, Transcutaneous oximetry. A sophisticated tool for assessing tissue oxygenation and potential for wound healing, in: Wound Care Practice, edited by P. J. Sheffield, A. P. S. Smith, and C. Fife (Best Publishing Company, Flagstaff, 2004), pp. 117-136. 37. J. Niinikoski and T. K. Hunt, Measurement of wound oxygen with implanted Silastic tube, Surgery 71, 22-26 (1972). 38. J. Kivisaari and J. Niinikoski, Use of implanted Silastic tube and capillary sampling technic in the measurement of tissue PO2 and PCO2,, Am. J. Surg. 125, 623-627 (1973). 39. K. Korhonen, K. Kuttila, and J. Niinikoski, Subcutaneous tissue oxygen and carbon dioxide tensions during hyperbaric oxygenation: an experimental study in rats, Eur. J. Surg. 165, 885-890 (1999). 40. K. Korhonen, K. Kuttila, and J. Niinikoski, Tissue gas tensions in patients with necrotizing fasciitis and healthy controls during treatment with hyperbaric oxygen: a clinical study, Eur. J. Surg. 166, 530-534 (2000).